Douglas Rainsford Tompkins, 72, one of the Earth’s foremost conservationists, died today following a kayaking accident on Lago General Carrera in Chilean Patagonia. Through charitable organizations he and his wife, Kristine McDivitt Tompkins, founded, the Tompkinses have acquired roughly 2.2 million acres of conservation land, part of which comprises the world’s largest private nature reserve, Pumalin Park in southern Chile. Using persuasive advocacy and land donations to the national park systems of Chile and Argentina, the Tompkinses have helped create five new national parks in South America, expand another, and are working to establish several more. For his parklands protection efforts and organic farming projects, Douglas Tompkins received numerous honors. 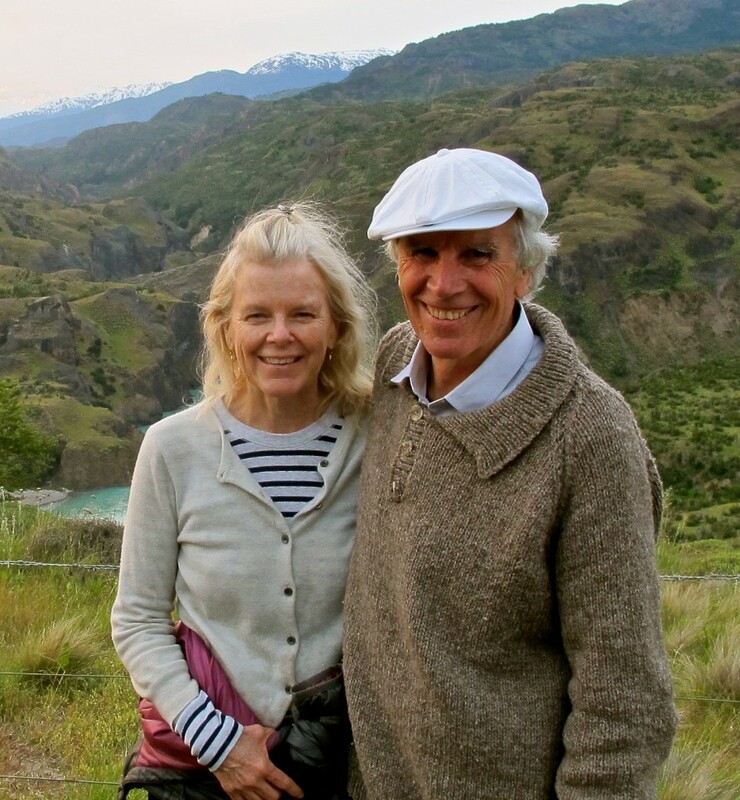 A mountaineer with first ascents on multiple continents, Douglas Tompkins was known as the entrepreneur who founded The North Face outdoor retailer and cofounded the Esprit clothing company with his first wife, Susie Tompkins (Buell). After leaving the business world “to pay his rent for living on the planet,” as Tompkins frequently said, the businessman-turned-conservationist spent the last quarter-century of his life living in South America. Through a suite of charitable organizations (see Tompkinsconservation.org) he worked to create parks, buy and restore degraded farmlands, and help advance conservation activism. An American citizen, Tompkins’s land acquisitions and environmental activism were sometimes controversial in his adopted home, although he worked with two Chilean presidents of different political parties to establish national parks and was similarly successful in Argentina. His participation in the multiyear campaign to prevent a massive hydroelectric project that would have dammed wild rivers in Chilean Patagonia was crucial. That fight was ultimately won due to the tenacity of dam opponents and Tompkins’s funding and strategic input. Deeply influenced by the Norwegian philosopher Arne Naess, Tompkins was a supporter of “deep ecology,” believing that a shallow, reform-minded environmentalism was doomed to fail. Only through deep structural changes to society and adoption of an ecocentric land ethic—a belief that humans were but a member of the community of life and not lord over it—would humanity reverse its rush toward, as Tompkins often said, “the dustbin of history.” A vocal critic of megatechnology, Tompkins devoted considerable funding to technology criticism and was widely read in the literature on that topic. At his core an activist for nature and beauty, Tompkins possessed an incredible love for the wild world he explored in climbing and paddling trips. He combined this with a refined aesthetic sense reflected in the scores of buildings he designed through the years for his parkland and farm restoration projects. After “cheating death” so many times on perilous climbing expeditions to some of the planet’s most remote places, Tompkins was enjoying a kayak camping trip with friends on South America’s second largest lake when the accident occurred. Douglas Tompkins leaves behind his beloved wife Kristine Tompkins; his mother Faith Tompkins and brother John C. Tompkins of Millbrook, NY; daughter Summer Tompkins Walker and son-in-law Brooks Walker and their children Brooks Thomas Walker, Della Walker, and Susie Kate Walker of San Francisco; daughter Quincey Tompkins Imhoff and son-in-law Dan Imhoff and their children Gardner and Willa Imhoff of Healdsburg, CA. For those who wish to support the continuation of Douglas Tompkins’s life work, we welcome your contribution to Conservacion Patagonica and the Conservation Land Trust. The work that Kristine and Douglas Tompkins began decades ago is ongoing. Thank you for helping us continue this vital work to restore wildness and create new possibilities for nature and people in Patagonia. One of the great conservationists of our time, he was this world’s Tom Bombadil. He had immense power but chose to live a simple,sincere life but dedicated his life’s work to the conservation of some of the most gorgeous and valuable forests and ecosystems. I am proud to have known him and collaborated with him to found the first private Nature Sanctuary in South America, the Cañi Sanctuary. This great man has made a difference to the world and his passing affects me deeply and Earth has lost a great hero. Rest in peace Doug. Your wisdom and actions have left a beautiful legacy. Great man. Lets celebrate how he lived AND died. On an adventure. Exploring beautiful wild places. He was doing what he loved and was certain of the risk. You can kind of smile through the sadness when you think of how he lived. Down from Maine, I am in Colombia, South America at the moment helping some of my friends here with their businesses and interests. This was absolutely devastating news to wake up to. Prayers for Doug his family and friends. The world will be forever greatful. Misunderstood by many and used by some politicians. My condolences to his family. Thank you for your legacy, have a good journey Peñi ! I extend my most sincere condolences to his family and the people inspired by his unvaluable contribution to our home planet. A great inspiration. A visionay who saw the urgent need to protect and preserve our planet to the future generation. A very sad Day for Mother Nature. I hope that someone follow his Steps too finish his Dream. I dreaded these times. A hero to many who will be sorely missed. My sincerest simpathy to Kris. A great man and a very sad loss. Our planet needs champions like him. My condolences to his family and friends. Rest in Peace. He was a great man!!! I had the pleasure of his friendship in the eighties and the great opportunity to work with him at Esprit for several years. Mr. Tompkins was and will always be a role model on how to live your life – both professionally and personally. It was always a goal of mine to meet him, but unfortunately that will not happen. He was an inspiration to many across the world. I am saddened by the passing of Doug. His dedication to the field of Ecology is in part what inspired me to work on my degrees and enter the field. Godspeed Doug, you will be missed. A great hug for all his family and friends, he was a real inspiration, Im from Patagonia and i really appreciate all his work and contributions. We must celebrate such a great life, enjoining nature with friends to the last moments. Un abrazo grande desde Bariloche!!! Dearest family and friends of Doug, I am so saddened to hear of Doug’s passing. What an incredible human being, I feel blessed to have met him while working at the park in Valle Chacabuco. He and Kristine have inspired,and will continue to inspire, so many people to lead green lives. Working in the park will always be a highlight of my life. His legacy will live on forever and his beloved memory will live on in the hearts of his wonderful family and friends. The planet is so grateful to him and I know it shares our sorrow. May his loved ones find solace in the idea that he was in nature doing what he loved. RIP Doug! My thoughts and wishes go out to the ones who are in grief now! You made the world a better place – a little bit for sure. Thanks for the inspiration. His life helps me figure out what it means to live successfully with true purposes, and I hope I will come near where he is by the end of my life. Thank you Doug for being a Force for Nature! You will be missed, but you have left an incredible legacy for us all. For someone that so loved nature and pure earth, this sad ending is also fitting that he was enjoying his passion. What a great legacy. The human race is thankful. What an amazing man, to care so much about the future of our greatest resources. May he fly with the angels and discover eternal beauty and peace. Mis más sinceras condolencias por el lamentable fallecimiento del señor Tompkins, un gran saludo y apoyo a toda su familia. El año pasado, con mi esposa Carola y mi hijo Bruno visitamos el parque Pumalín. Quedamos maravillados. Por las noches, desde nuestra carpa, volvimos a escuchar los sonidos de la naturaleza que solíamos escuchar en nuestra infancia y que creíamos perdidos. Llenamos nuestros ojos de todo el verde que pudimos, y nuestros pulmones de aire limpio, sabiendo que al final deberíamos volver a Santiago. Yi Fu Tuan dice: “un lugar es una porción de espacio al que queremos volver”. Pumalín es ciertamente un “lugar” para nosotros, anidado en un sistema mayor y, a la vez, con muchos lugares más pequeños anidados dentro de él. La noticia de la muerte del Sr. Tompkins nos entristeció profundamente, como de seguro ha sucedido con muchas personas, pero estamos convencidos de que su proyecto ha alcanzado tal fortaleza que será difícil , si no imposible, revertir su curso. Eighteen years ago this month, my husband Craig Lee and I had the good fortune to meet Doug and Kristine, and visit their home in Patagonia. We carry with us indelible memories of the remarkable farm they had established in such a wild place. The structures were stunningly beautiful and thoughtfully constructed, so they looked as though they had been there for a century. Kristine’s garden was thriving in the austral summer, thanks to her nurturing and the well-designed system of cold frames and raised beds. But what Craig and I still talk about was their commitment to the people with whom they shared that landscape. Doug was eager to show us the bee-keeping and honey producing operation he had launched to bring money to his neighbors. Kristine was encouraging the local women to use the wool from their sheep to produce knitted attire that would appeal to the tourists that were beginning to come to the area as a result of the Tompkins’ creation of Pumalin National Park. Craig and I were the first people to stay at the new accommodations Doug had built at Calleta Gonzalo to attract more visitors. Oh, and we also will never forget the terrifying and stomach turning flights with Doug in his 2 seater stunt plane as he showed us the geographic and mental expanse of his preservation vision. Thanks Doug for those memories, the fascinating debates, and the incredible legacy. Please accept my deepest sympathies for the sudden death of Douglas Tompkins, nevertheless his legacy will survive him deep into the future, regards. I was a volunteer for Conservacíon Patagonica at the beginning of 2014 (during the first condor release). I spoke with you on a couple of occasions, and will always believe that my time in the park and with the community that comprised the park was one of the most influential times in my life. You and your family are in my thoughts during this time. Your work, and Doug’s work and contributions to the world and wilderness is incredible. Take good care. An incredible human being, it’s a huge loss for our planet. He leaves a great example on how one person can do a lot to preserve nature. May he rest in peace. Love for his family. To all of the family: wishing you peace as you grieve this loss. So sorry for your tremendous loss. What an amazing life lived and huge inspiration to me, and many others I’m sure, hoping to change the ecological consciousness of our fellow citizens. Leading by example is one of the best ways to do this of course, and Douglas certainly lived that ethos. One of the true greats. Incredibly sad news for those of us that see the world needs champions like Doug. With all the negative things going on in the world we need some light at the end of the tunnel. After travelling the carreta austral 2 years ago by bike, and seeing what Doug was trying to do, gave me that hope, It needs people with money and power that see the light, trouble is that combination is a one in a million chance. most of us who do lots of talking but no action. Sustaining his legacy is now our challenge. GRANDE DOUG!!! GRANDE KRISTINE!! porque sigues siendo su compañera activamente, con el mismo espíritu que heredas de él. ADELANTE CON TODO EL EXITO QUE SE MERECE SU OBRA Y QUE SU LEGADO TRASCIENDA GENERACIONES…! Un abrazo del alma.